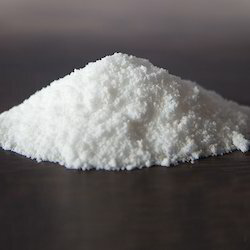 Prominent & Leading Manufacturer from Chennai, we offer edta disodium salt, edta salts, edta tetrasodium salt, sequestering agent, water softener salt and chelating agents. EDTA Disodium Salt serves as a solid form of EDTA salt with 2 parts of sodium anion. 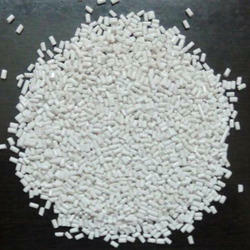 EDTA 2Na is usually manufactured to be used for chelation purpose for cleaning applications and formulation products. EDTA Disodium Salt functions as an extensively used chelator of divalent cations such as Ca2+. EDTA (Ethylene diamine tetra acetic acid) is a chelating agent, a general chemical, and a sequestrant. In molecular biology applications, it is used to aid in minimizing metal ion contaminants. It is also used to facilitate enzymatic reactions that could be inhibited by heavy metal traces. It also helps in the inhibition of enzymes, such as metallo proteases, that require divalent cations for activity. Ethylene diamine tetra acetic acid salts or EDTA Salts are amino-poly carboxylic acid salts. 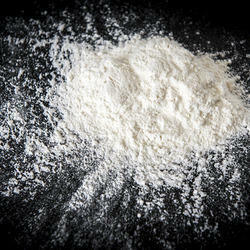 EDTA is a colourless to whitish powder that is readily water-soluble. EDTA Salts are widely used for dissolving lime scale deposits or as a chelating agent that is its ability to "sequester" the metal ions such as Calcium (Ca) and Ferric (Fe). EDTA belongs to this category of chelants. Chelants, or chelating agents, can be used in food processing, agriculture, cleaners and detergents, textiles manufacturing/dyeing, pulp and paper manufacturing, and water treatment. EDTA Salts are typically available as aqueous solution for controlling / binding metal ions over a broad pH range in aqueous (water-based) systems. 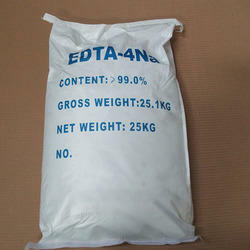 EDTA Tetrasodium Salt serves as a solid form of EDTA salt with 4 parts of sodium anion. EDTA 4Na is usually used for chelation purpose for cleaning applications and formulation products. EDTA 4Na is an alkaline salt. EDTA, Tetrasodium Salt serves as a chelating agent showing wide ranging ability of sequestering various polyvalent cations. EDTA is used for minimizing metal ion contaminants, and help in facilitating enzymatic reactions that could be inhibited by heavy metal traces. Chemtex Speciality Limited is an ISO 9001, ISO 14001 and OHSAS 18001 certified manufacturer and supplier of EDTA Tetrasodium Salt. We have been in this field of chemicals for over a period of 40 years and we will continue to extend our services towards enriching the circadian operations of other industrial sectors. Chelates and Sequestrants are used extensively in commercial, municipal and goods manufacturing applications. The products which are catered under the Chelants and Squestrants category are EDTA Acid, EDTA pure Acid, Chelating Agents, EDTA Di-sodium Salts, EDTA Salts, EDTA Tetra sodium Salts, Bleach Stabilizer, ATMP,DTMPA, HEDP, Phosphonates Acid, Sequestering Agent, EDTA-Trisodium Salt and EDTA Powder. These form chelates with magnesium and calcium metals present in hard water and enhance the cleaning capacity of various detergents and soaps. CHEMTEX'S SEQUESTRANT is used for softening and conditioning of hard water that contains high calcium, magnesium and strontium salts of carbonates and sulfates. It is nontoxic in nature, useful for various purposes such as laundry, textile, institutional water storage, fire water line conditioning, industrial water conditioning, anti-scaling etc. 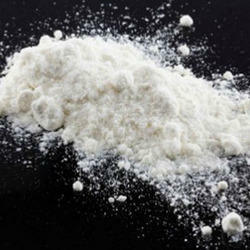 There are various types and grades of Sequestrants are available in different forms such as liquid and powder. Chemtex's water softener salt meets our customers’ needs to soften our daily usable water and making it convenient for our regular purposes. It helps in chelating Iron salts and as sequestering agent for calcium and magnesium salts that are generally present in the water in order to prevent them from scaling in several industrial processes. The resultant soft water is more compatible with soap and extends the life time of plumbing systems. Our reliable and excellent water softening agents will enhance years of service to the appliances such as chillers, boilers and water pipes etc. Chelating agents are scientifically developed for use in industrial applications involving dissolved metals. Most of the agents are widely used to remove rust, scale and other debris from the metallic surface. The commonly used chelating agent is EDTA (ethylenediaminetetraacetic acid) which is used in cleaning applications and formulation products. Chelates and Sequestrants are used extensively in commercial, municipal and goods manufacturing applications. The products which are catered under the Chelants and Squestrants category are EDTA Acid, EDTA pure Acid, Chelating Agents, EDTA Di-sodium Salts, EDTA Salts, EDTA Tetra sodium Salts, Bleach Stabilizer, ATMP,DTMPA, HEDP, Phosphonates Acid, Sequestering Agent, EDTA-Trisodium Salt and EDTA Powder. These form chelates with magnesium and calcium metals present in hard water and enhance the cleaning power of detergents and soap. CHEMTEX'S CHELANT or CHELATING AGENT is a superior chemistry that is useful for softening and conditioning of high hardness and iron in water. It is nontoxic in nature which with multi-purpose applications such as laundry, textile, institutional water storage, fire water line conditioning, industrial water conditioning, antiscaling etc. CHEMTEX'S CHELANT does not contain any mineral acids and chlorine. Tetrasodium EDTA, manufactured by Chemtex Speciality Limited, manifest itself as a chelating and sequestering agent of metal ions in aqueous solution. Once bound to these EDTA Compounds, these metal centers do not show the tendency to form precipitates or to interfere with the action of the soaps and detergents. The reduction of scales and water hardness depends heavily on the Tetrasodium EDTA to bind magnesium, calcium, as well as other metal ions. It also exhibits as a slime dispersant and is effective in controlling the bacterial growth. EDTA Trisodium Salt is manufactured as a solid form of EDTA salt with 3 parts of sodium anion. Ethylenediaminetetra acetic Acid Trisodium Salt serves as a divalent cation chelator that is used in some electrophoresis buffer systems. EDTA (Ethylene diamine tetra acetic acid) Trisodium Salt acts as a chelating agent, a general chemical, and a sequestrant. In molecular biology applications, it helps in minimizing metal ion contaminants. 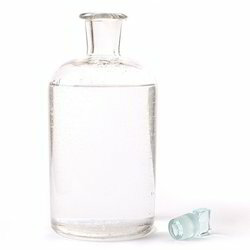 It is also used in facilitating enzymatic reactions that could be inhibited by heavy metal traces. It also aids in the inhibition of enzymes, such as metallo proteases, that require divalent cations for activity. The Water Softening Chemicals are mostly used for removing calcium, magnesium and certain other metal cations existing in hard water to transform it into soft water. The chemical industries require softening the water as it is more suitable with soap and extends the durability of pipelines. The products which we cater for water softening chemicals are Organo phosphate, Chelants, Sequestrant etc. Chemtex uses lime and ion exchange resins in formulating this entire range of water softening chemicals. The unmatched features of these chemicals are excellent water softener, removal of metal cations, specific pH value and durable shelf life. 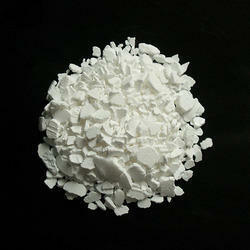 This chemical is utilized in waste water treatment, sewage treatment, ETP, mineral water treatment processes. It must be stored in chemical storage tanks as it is hazardous. Looking for Chelating Agents and Sequesterants ?